Apple company launched its Home pod a Smart Home speaker to compete with Amazon Echo and Google Home Devices. After Apple Watch in September 2014, this the new device Apple has announced in 3 years. Apple marketing boss Phil Schiller said Apple wanted to combine good speakers with smart speakers you can talk to, referencing Sonos and Amazon Alexa. Schiller said the speaker “needs to rock the house” free from distortion. It also needs to have “spatial awareness” to make the music sound good no matter the room size. 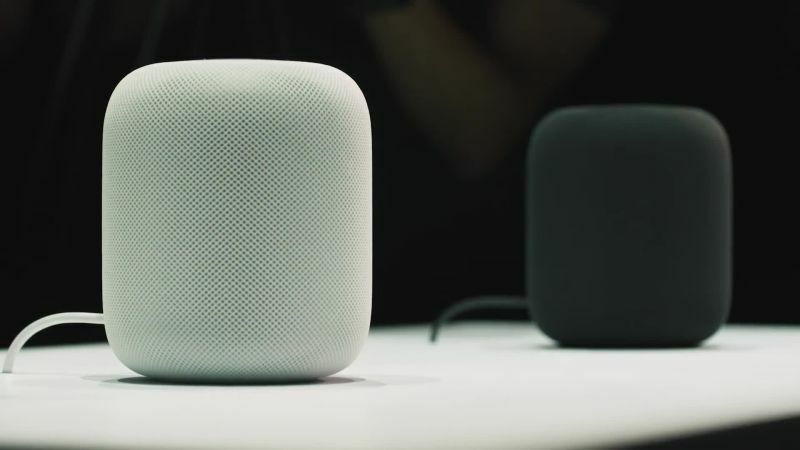 In announcing the HomePod, Apple CEO Tim Cook said there are many companies making products for enjoying music in the home but “none have nailed it yet”. Here He mentioned wireless speaker systems such as Sonos that “sound good but are not smart” and “other smart speakers” (presumably a reference to Amazon Echo and Google Home) that “don’t sound great”. He said, The want to combine this all. The device can also be used to send messages, get updates on news, sports and weather and control smart home devices connected using Apple’s HomeKit. You can also ask HomePod to control HomeKit devices and adjust the air conditioning or lights. Or you can ask it for the news, weather, traffic, sports scores, to text someone with messages and set reminders. Apple’s speaker will launch this December in white or gray and will cost $349. It will be more Expensive than Amazon Echo and Google Home but Cheaper than Sonos Play 5.